Garment makers are seeing demand shrink as consumers in the US and Europe are cutting back on spending. US cotton consumption is set to fall 6.5% from last year to less than a million tonnes whilst EU consumption is expected to fall 11% to about 460,000 tonnes, the Economist Intelligence Unit (EIU) predicts. At the same time, they are hit by more expensive raw materials and by soaring oil prices, which make their factories more expensive to operate and which pushes up the cost of shipping to foreign markets. In India, the weaving industry is in crisis. 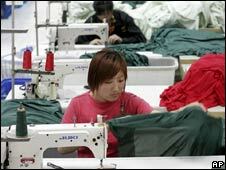 In China, the textile sector is squeezed. And, yet again, the root cause of their problems can be found in America. In the US, ever more cotton farmers are switching to more lucrative crops - soybeans, corn, and wheat - whose market prices are rising even faster. "Cotton is taking its cue from whatever the other [commodity] markets are doing," according to a US commodities broker. "They set the tone for a lot of the things taking place in this market." As a result of the shift by farmers, "the cotton harvested area in the USA is projected to decline by a further 15%" in the year ahead, predicts the International Cotton Advisory Committee (ICAC). That would bring the cotton acreage in the US to 9.5 million acres, down from 10.8 million in 2007 and from whopping 15 million acres in 2006. "It is obvious that [cotton] prices will be higher," ICAC says. This year, global cotton prices are set to rise more than 8% to 80 cents per pound, ICAC predicts. Financial market professionals think the rise could be even steeper. May cotton futures currently trades at about 71 cents per pound on the Intercontinental Exchange, or ICE. The December futures trade at about 83 cents per pound. "I don't think we've had markets this wild since 1995, and we're in an environment where it could be with us for several years," says Mike Stevens from finance house Swiss Financial Services in an interview with Penton Insight. Cotton shortages first emerged last year, when global demand for cotton exceeded global supply by about a million tonnes. In spite of the US shift towards competing crops, this year, the global cotton harvest is set to grow 3%, as major producer regions such as China, India, Australia, Brazil and West Africa are raising production. Globally, supply growth is thus outstripping demand growth; cotton mill use is set to grow by just 1% this year. But even so, supply is not growing fast enough. This year's production level is expected to peak at 26.9 million tonnes of cotton, compared with demand for 27.5 million tonnes, the ICAC predicts. 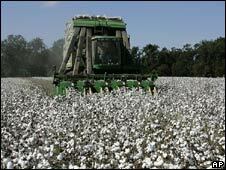 But costly cotton is only one factor hitting clothing manufacturers. "It all comes down to energy," explains Bradley George, head of commodities and resources at Investec Asset Management. "We are basically short of power in the world right now." 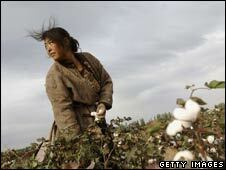 Hence, it is not only a question of whether land should be used to grow crops for food or cotton. It is also a question of how much energy should be used to produce clothes in factories. The wages paid to factory workers have risen too, especially in China. Manufacturers in India and China, as well as in many other parts of South East Asia and Central Asia are already feeling the pain. In the end, they will either have to raise prices for the clothes they make, or go under - which in turn will reduce supply. 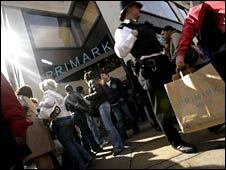 For consumers in Europe and the US the outcome is certain: prepare to pay more for clothes in the years to come.